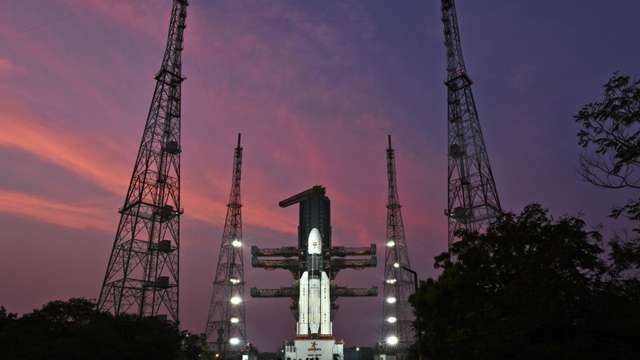 ISRO will launch India's heaviest satellite, today with 14Gbps speed internet-The Indian Space Research Organization (ISRO) will send the heaviest satellite (satellite) GSAT-11 space till date. This is the largest weighted satellite of ISRO, with a weight of 5,845 kilograms. This satellite will be launched with French Arsenal-5 rocket from French Guyana Space Center of South America. Let us tell you that this is the largest weighted satellite of ISRO, which weighs 5,845 kilograms. According to the European Space Transporter Arianespace, this satellite will be launched between December 2.07am and 3.23am on 5th December according to Indian time. If this satellite of ISRO is established in the right place, then the internet will get the speed of 14Gbps and it can prove to be a boon for the telecom sector. Let's know the specific things of this GSAT-11 Satellite. GSAT-11 is a high capacity satellite that can carry 40 transponders simultaneously in Ku-band and Ka-band frequency. The age of this satellite is 15 years and it has a 4 meter solar panel, which is approximately equal to one room size. This satellite will be able to transfer data from the speed of 14gbps. This satellite will create a strong platform for next generation applications. According to ISRO Chairman Sivan, the broadband connectivity of the nation will reach 100Gbps by next year, with the help of four of the ISRO's throw-down satellite. Let us know that ISRO has already launched GSAT-19 and GSAT-29 Satellites. While GSAT-20 will be launched next year. After the launch of these four satellites, there will be high-speed internet connectivity in the country which will empower country's rural areas for digital platform. Let us know that at present, the fastest internet speed is available in South Korea. At present, Internet service is provided in South Korea at a speed of 28.6 Mbps. At the same time, India has 89th place in the world. The average internet speed in India is 6.5Mbps. ISRO chairman said a few months ago that the Indian government has alloted a budget of Rs 10,990 crore for the next four-year space mission. ISRO is preparing to launch 50 spacecraft in these 4 years.